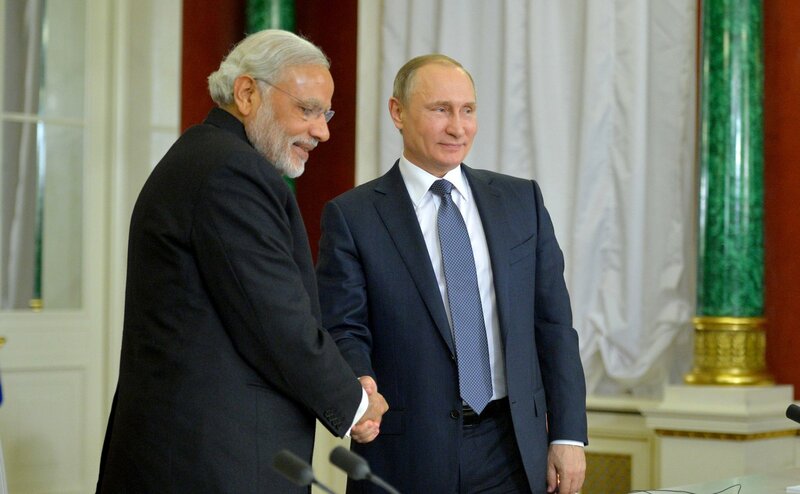 The India-Russia relationship is the one global partnership with very few differences. Several leading academicians and analysts on Friday offered Russian and Indian perspectives on the emerging international order and Russia’s place in it, saying that the global transition towards a multi-polar world is intertwined with Russia’s quest for a new international identity. Alexander Lukin, Director, Centre for East Asian and Shanghai Cooperation Organization Studies at Moscow State Institute of International Relations of the Russian Foreign Ministry (MGIMO University) was among the key speakers at an International Conference organised by the Institute for Defence Studies and Analyses (IDSA) on November 4, 2016. The conference, on ‘Russia in Global Affairs: Indian and Russian Perspectives,’ also saw other eminent speakers providing their perspectives on various aspects of the current global geostrategic position. Among them were Leonid Grigoryev, tenured professor at the National Research University Higher School of Economics and Chief Advisor to the Head of the Analytical Centre for the Russian Government, Dmitry Suslov, Deputy Director, Centre for Comprehensive European and International Studies, National Research University Higher School of Economics and programme director of the Valdai Discussion Club, Maxim Bratersky, Professor at Department of International Relations, National Research University Higher School of Economics, Moscow and Director of the IMESS double-degree Masters Programme at HSE, and Andrei Skriba, Associate Professor in the Department of International Relations, National Research University Higher School of Economics, Moscow. Professor Madhavan Palat, Emeritus Professor at the School of International Studies, JNU and Nandan Unnikrishnan, Vice President of the Observer research Foundation were the eminent Indian speakers at the day-long conference, organised to coincide with the launch of the special edition of IDSA’s journal, ‘Strategic Analysis’, on ‘Russia in Global Affairs’. Describing the post Cold War world as going through a phase of transition, from the global dominance of the West after the end of the Cold War toward a multi-polar world, Lukin, said the influence of the Western centres of power would diminish, while those of the other centres, like China, India and Brazil, would grow. A dozen leading Russian policy experts have contributed to the special edition, offering a comprehensive view on the structure of the new international order, major international tendencies and problems, and Russia’s place in this system. Six of the Russian contributors, all eminent professors and practitioners, participated in the conference. The articles discuss Russia’s approaches to international security, new factors of influence in the modern world, Russia and the system of global governance, Russia and the new economic order, Russia’s role in Eurasian integration, and its policy of pivot to Asia. The collection of articles, said Lukin, the guest editor of the journal, was an important reflection of the main ideas, analyses, and policy proposals of Russian foreign policy thinking. Jayant Prasad, Director General of the IDSA, said Russia’s size, geopolitical location, its natural endowment in energy and minerals, its great power tradition, and aspirations of Russia’s post cold war generation will make Russia a key Eurasian and global power and one of the centres of the emerging, polycentric world. Soon after the USSR collapsed, there was a move for greater integration with the West, but that did not happen, said Professor Bratersky. “And today, it is rejected,” he said, explaining Russia’s pivot to Asia and the multi-polarity which lies behind Russian foreign policy today. India, though close to the United States, is “not only within the US embrace, but is joining SCO (Shanghai Cooperation Organisation), consolidating BRICS, and is equi-distant from the US, Russia and China in the conduct of its foreign policy,” Suslov explained. Russia’s foreign policy imperatives are based on its domestic and economic concerns, while being security-oriented and related to what Skriba called “great power attractiveness.” While these are not imperial in nature, they are an overhang from the Soviet era. “There is a churn in global geopolitics; a decline in US power while rising powers in our neighbourhood (China, India, Russia) are crossing paths,” Unnikrishnan said. “India seeks a ‘balancer’ in the United States. Earlier it was the Soviet Union, but Russia, with its close linkages with China, does not play that role for India any more,” he said, even though “the India-Russia relationship is the one global partnership with very few differences,” Unnikrishnan pointed out. It is not a “zero sum game,” said Professor Palat, summing up proceedings, but a finely nuanced set of drivers, domestic, economic and security-related, which is being witnessed in the foreign policies of both Russia and India today.